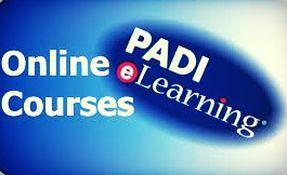 Padi eLearning, Whether you’ve always wanted to scuba dive, discover new adventures or simply see the wondrous world beneath the waves, you can start today with the Padi Open Water Online Course on your tablet. The iOS version is available now and an Android version. Following on from the recent release of the iOS version, the Android tablet version of the PADI Open Water Diver Touch is available now to download from the PADI Library. Learn the facts, principles and concepts needed to prepare you for confined and open water dives. Watch video clips that introduce the world of scuba diving. Take progressive self quizzes to test your understanding of the material. You don’t even need an internet connection for knowledge development once you download the padi elearning, PADI Open Water Diver Touch, you’ll have the flexibility to learn anywhere at any time. You will, however, need to go online to take your quizzes and access your online Padi eLearning record. Download the PADI Library application from your app store today to experience an introduction to the Touch. Then, start learning by contacting Easy Divers Cyprus to access and activate your content. Join the millions of people who have already learned to dive using the PADI System of diver education and are now enjoying the adventurous scuba diving lifestyle. 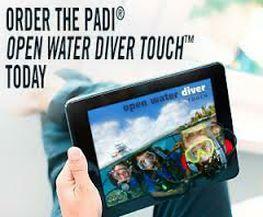 Contact your to order your PADI Open Water Diver Touch iPad version, and start your PADI Open Water Diver course today. Is PADI Open Water Diver Touch available for Apple? Android? Windows? PADI Open Water Diver Touch is currently available for Apple and Android operating systems only. Why should I consider PADI Open Water Diver Touch for my PADI Open Water Diver course? What does it offer? The PADI Open Water Diver course is the world’s most popular scuba certification course, with millions of people having started their diving adventures as PADI Open Water Divers. Now, PADI Open Water Diver Touch™ adds the ease and convenience of tablet-based learning, allowing you to access the PADI Open Water Diver Manual, videos and other content while offline. (You will, however, need an internet connection to complete quizzes and to submit Knowledge Reviews.) Use PADI Open Water Diver Touch to complete knowledge development – facts, principles, concepts – and review dive skills you will learn, including techniques and methods. PADI Open Water Diver Touch provides the knowledge development portion of the course, then you learn and practice dive skills with a PADI Instructor at your local PADI Dive Centre or Resort. How do I decide which knowledge development version of the program to use: PADI Open Water Diver Online (PADI eLearning) or PADI Open Water Diver Touch? While the end certification is the same, the main difference is in how the knowledge management material is delivered. PADI Open Water Diver Touch is tablet-based, while PADI Open Water Online may be better suited for those who prefer learning at their desktop, laptop, or who don’t have access to a tablet. Besides convenience, Open Water Diver Touch also offers portability. While you still need to be online to take and submit quizzes or Knowledge Reviews, you can access reading portions while traveling or during periods without an internet connection. If you prefer to learn solely using a manual and DVD with classroom instruction, instead of computer or tablet-based learning, please contact your local PADI Dive Centre or Resort to discuss that option with a PADI Professional. To be certified as a PADI Open Water Diver, you need to be at least 10 years old*, medically fit for diving and able to swim. You need to be at least 10 years old (and have access to a tablet) to use PADI Open Water Diver Touch; however, PADI Open Water Diver Touch is not available for direct purchase by those under the age of 13. In this instance, a parent or legal guardian will be required to authorize and pay for the courseware. * In some regions, the minimum age is higher. What’s so great about the PADI Open Water Diver Touch? As you progress through the material, you’ll be presented with interactive presentations including videos, audio, graphics and text. Short quizzes gauge your progress, and review and correct anything you might miss. This allows you to progress efficiently and at your own pace. In order to complete the five required Knowledge Reviews, you must be connected to the internet and logged in. After completing each Knowledge Review, you’ll receive an email from padilibrary with the results, so please check your spam filter or junk mail folder in case you don’t see one. If you don’t receive an email, you can log into the PADI eLearning Portal with your email address and password to confirm your Knowledge Review. Once logged in, click on View eRecord to see if you have a score for the Knowledge Review you just completed. This also applies to the quizzes and exams. Prior to certification as a PADI Open Water Diver, you’ll visit your PADI Dive Center or Resort to complete your training. You’ll take a short Quick Review to confirm your understanding of safety-related material from the course, and you must successfully complete five confined water dives and four open water training dives with your PADI Instructor. You learn and master each of the required skills in confined water (swimming pool-like conditions) first before moving on and showing your instructor that you can comfortably repeat those skills in open water. As a PADI Open Water Diver, you will be a certified entry-level diver able to rent dive gear, get air fills and dive anywhere in the world in better or similar conditions to those you’ve trained in. What does PADI Open Water Diver Touch cost and cover? Is the fee refundable? The cost of the PADI Open Water Diver Touch varies by region and is non-refundable. The fee covers your knowledge development training and unlimited access to an electronic version of the PADI Open Water Diver Touch via the PADI Digital Library. Your PADI Dive Centre will charge an additional fee for the in-water portion of your course. You may also need to purchase a mask, snorkel, pair of fins and other personal dive equipment. Easy Divers will help you choose equipment suited to your needs, and you may also need a Recreational Dive Planner (Table or eRDP version) and log book. Contact Easy Divers Dive Centre in Protaras Cyprus for all of these things and to find out the total course cost. How long do I have to complete the program? How long does it take? The PADI Open Water Diver Touch will be available for one year from the time of program registration. Though you must finish the online portion of the course within that time frame, you will have perpetual access to an online version of the PADI Open Water Diver Manual through the PADI Digital Library app. The PADI Open Water Diver Touch should take approximately 12 to 15 hours to complete. How do I document that I’ve completed the knowledge development portion of the program? Once you finish PADI Open Water Diver Touch, your dive centre is notified that you have completed it and that you are ready for the practical portion of the course. At the end of the Open Water Diver Touch program, you will need to print out your eRecord and bring a copy of it with you to your selected PADI Dive Centre, or email it to them.